The latest box set in the Dark Shadows range is out today. Be prepared to re-enter the world of Collinsport in this new set of four stories starring Kathryn Leigh Scott and David Selby. Will Maggie and Quentin Collins spend eternity in unholy matrimony? Dark Shadows, Maggie & Quentin: The Lovers’ Refrain is out now. As Maggie Collins welcomes her children home to Collinwood to celebrate her husband Quentin’s 65th birthday, she is blissfully unaware of the cruel magic at work underpinning the heartwarming scene. A mistake from Quentin’s past casts a dark shadow over his and Maggie’s weekend getaway in New York City. A Golem is loose, threatening innocents and only Quentin knows how to stop it. A sunny day of fishing is interrupted by dark clouds as Quentin and Maggie find themselves swept up in events beyond their understanding. They’ll do their best to escape a mysterious island, even if their failure means joining those who have failed before them – the ghosts on the waves. “While the series still has the thrills and scares you’d expect from Dark Shadows, Maggie & Quentin: The Lovers’ Refrain is all about the love between the two main characters. It’s really something very beautiful.” (Read more of this article in May’s Vortex magazine). “This box set has given us a great opportunity to explore what it’s like to have a second great love affair in your life,” continues Joe. “They’ve both been through so much, so what is it now that brings them together? A lot of praise has to go to script editor, Alan Flanagan, who really worked hard to make the series something special. Maggie & Quentin: The Lovers' Refrain, is available now on at £30 on CD or £25 on download. 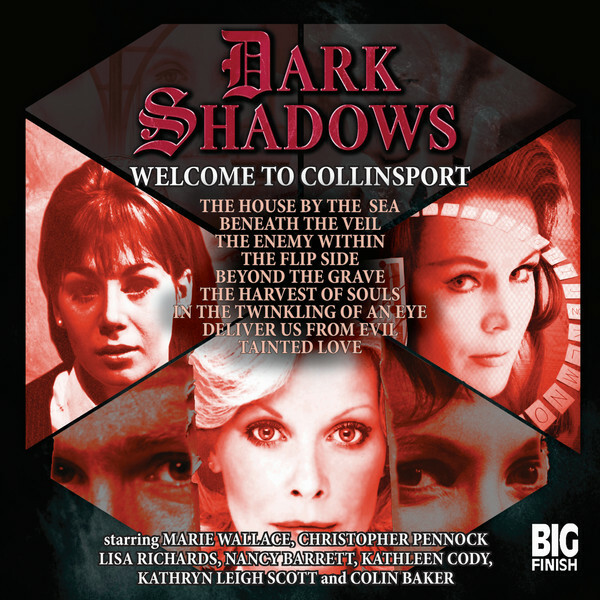 Plus, to celebrate the return of Dark Shadows, a new Dark Shadows collection Welcome to Collinsport is now available. Containing nine early stories from the world of Dark Shadows, you can get this exclusive Big Finish box set at £36 on download until the end of June. Just perfect if you’ve never travelled to the world of Dark Shadows before!